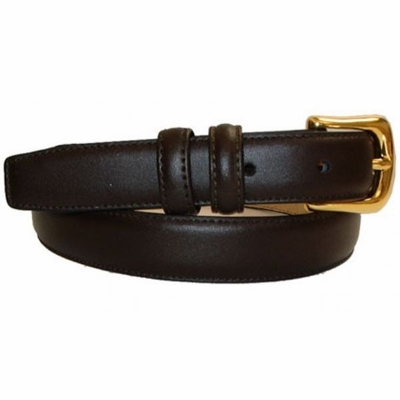 1" wide Smooth Leather Strap with Gold Buckle. Genuine Leather with No holes. Stitched and Feathered Edges. Comes with Snaps.